After months of wanting to go to Lush Oxford Street we finally went! As we said in our previous post about our trip there, we bought quite a few items so it’s a perfect opportunity for another haul. We’d both made lists of all the items we wanted to get, but unfortunately half the items we wanted were either out of stock or just not in the shop. This didn’t stop us though so let’s show you all what we got! How cool is this iron on patch?! 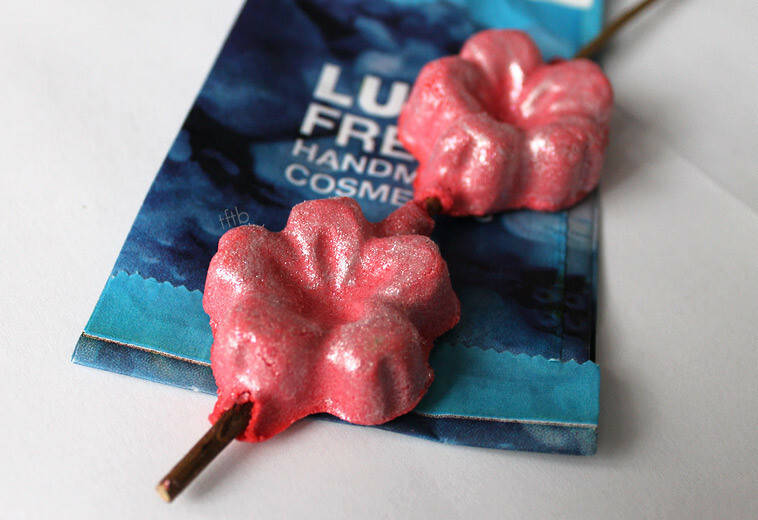 I never even knew that Lush were selling these so when I found them my face lit up! Things like this look so cool when ironed on to denim jackets and for £1.50 I knew I had to have it! They had a few other designs too when we were in store but as far as I know they are not currently sold anywhere else. Let’s hope that one day in the near future these are bought to every store. I’d love to buy more and fill my jacket with them. Now this isn’t an exclusive and I have a feeling it has been out a while but I’ve been meaning to buy Brightside for ages. Every time we go into our local Lush I spend forever umming and ahhing over buying this bubble bar, so I’m glad It’s finally home with me. It’s the same size as the Comforter so is great value for money if you’re going to cut chunks off. It smells really orangey and reminds me of Fanta, one of my favourite drinks mmmm! The scent isn’t surprising seen as this bar is full of tangerine and bergamot, citrus heaven!!! I can’t wait to finally use this and smell amazingly fruity! Something I’d been wanting to try for ages was solid conditioners. Up until now, our local store only had 1 bar in so when at Oxford Street I decided to pick Sugar Daddy- O. The main reason I chose this particular bar is because the smell reminds me of Palmer Violets. Since purchasing I have used this a few times and found that it leaves my hair super soft. They’re a little different to shampoo bars as obviously conditioner does not lather, so it’s hard to know how much you’re using. One downside is that I found when it was drying it smelt a little fishy. That being said when using the bar it smelt beautiful! 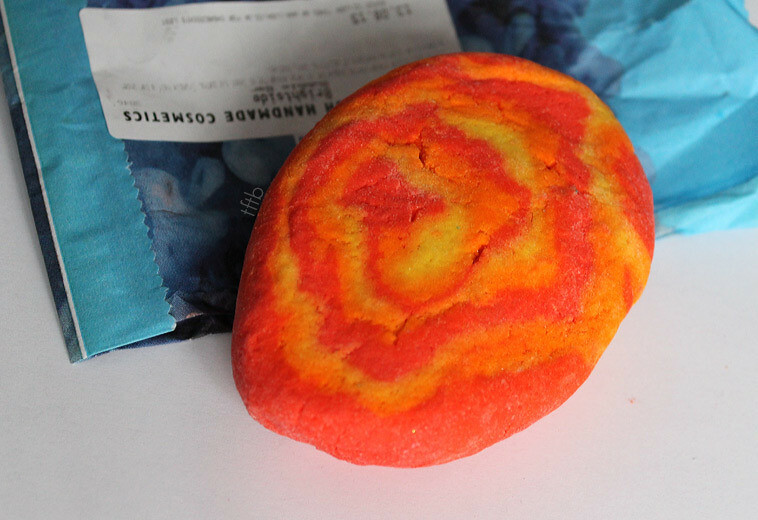 After seeing this bubble bar in person, I couldn’t resist buying it. First of all, it’s actually a little bigger than I thought it would be and I’m also in love with the design of it. I love when it’s blossom season so I find it adorable that the two little cherry blossoms are on a twig! 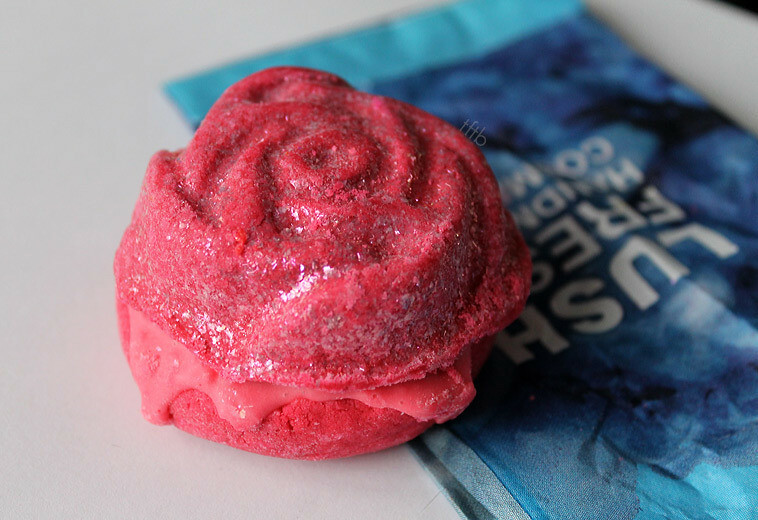 To me this bubble bar smells like cherry bakewell tarts but it’s also quite floral/soapy too. One of my favourite things about the product is the light pink colour and of course the sparkles, I can’t wait to see how it makes the bath look! The only downside to this product is that it’s quite pricey since it is ‘re-usable’. It’s not as big as most other bubble bars so I’m not sure if it will be worth the price, but if I can get a lot of uses out of it then maybe it’ll change my mind! 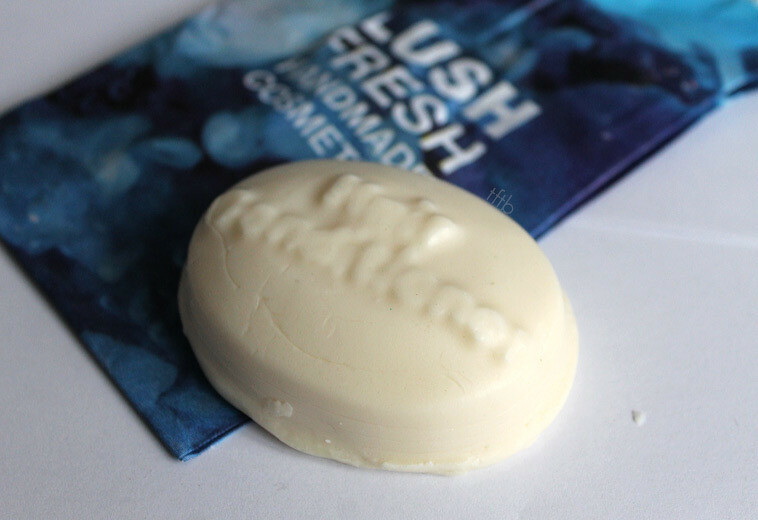 I love my Lush shampoo bar so I wanted to treat my hair even more and try out a solid conditioner. Big solid conditioner has been around for a little while and was revamped for Lush Oxford Street. It is meant to add volume and shine to your hair which is what my hair desperately needs! The product contains coconut oil and lemon juice although it doesn’t really smell like either. The scent isn’t too strong and to me it’s a subtle creamy/floral scent which I like! Although it looks a lot nicer and easier to use than the old version, I personally think the design is still quite boring and this is the least exciting looking of all the products I bought. But if it gives my hair a little bit of volume who cares what it looks like?! 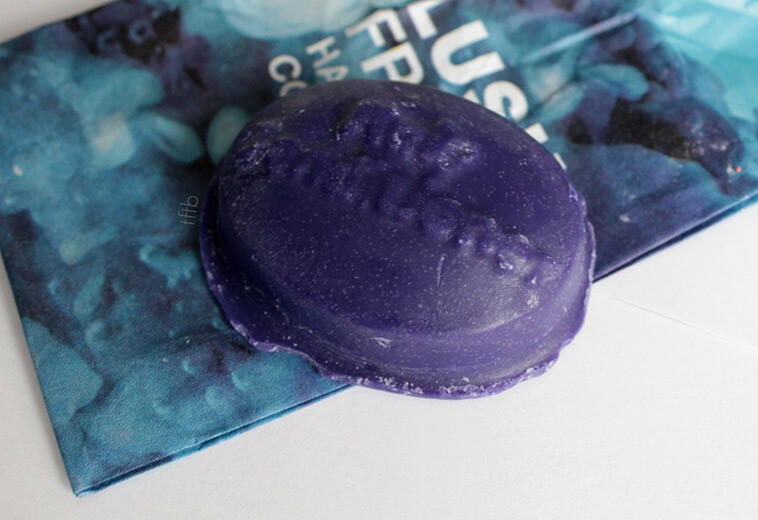 Purple is my favourite colour, so when I found out Lush Oxford Street sell purple fun, my inner child said I had to get it! I’ve heard a lot of people say the smell reminds them of the Comforter, so that was another reason I had to go and check it out. I have to say I was a little disappointed as it doesn’t smell like the Comforter at all. It smells more like grape flavour sweets but I’m definitely not complaining! 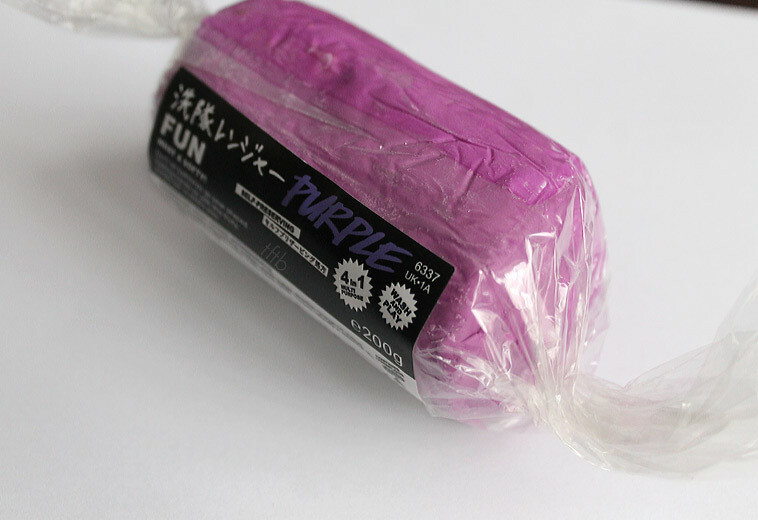 I don’t think any of the Fun products have a particularly strong smell and Purple Fun isn’t too intense either. It’s not a weak smell but it’s not too in your face. 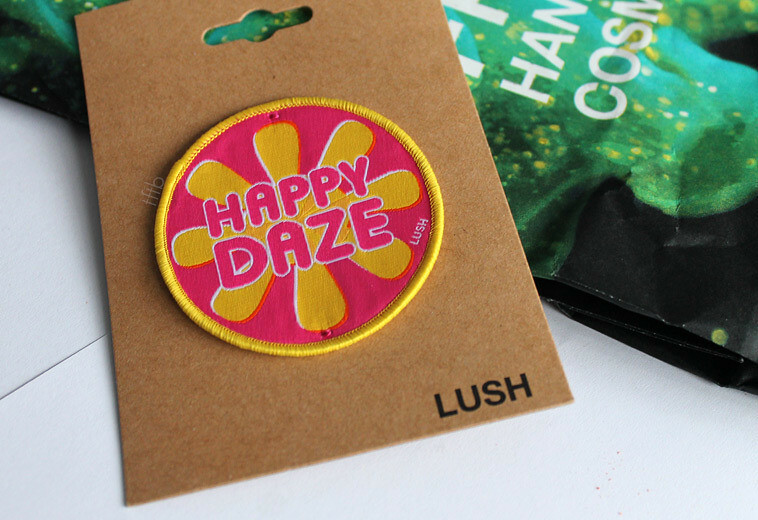 Fruity smells are my favourites too so if Lush made other products with this scent I’d be happy! I actually never owned a Bubbleroon until now. The old ones never appealed to me, they were quite small and weren’t particularly attractive! The new style is so, so pretty, not to mention how much bigger it is and yet it’s still the same price. It’s much more worth it! I love how each of the Bubbleroons are now so much brighter and each have a different look. The rose on top of this one is so nice and it’s so glittery! I think this is probably the prettiest Lush product I own and I feel like it looks too nice to use! At the same time I can’t wait to use this and see what it makes my bath look like. Also I think I now need to mention that the smell is absolutely beautiful and the Rose Jam scent is now one of my favourites. I want every product that has a similar scent! 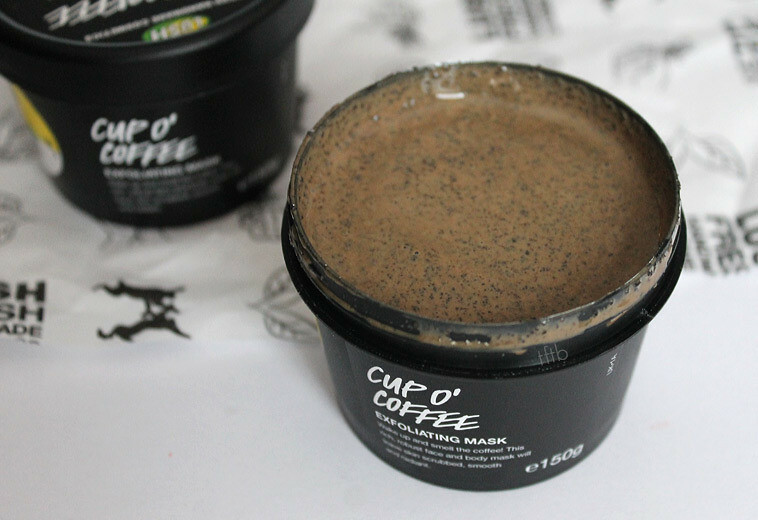 We also each bought our first Lush face mask, a pot of Cup O’ Coffee, AKA HEAVEN! We fell in love with this when we attended the event at our local Lush store. The smell is so strong and although neither of us like coffee we adore this! We’ve already used this and a little goes a long way so we have a feeling the pot will last a while. We will be comparing this to another face mask in a post soon so keep an eye out for that. 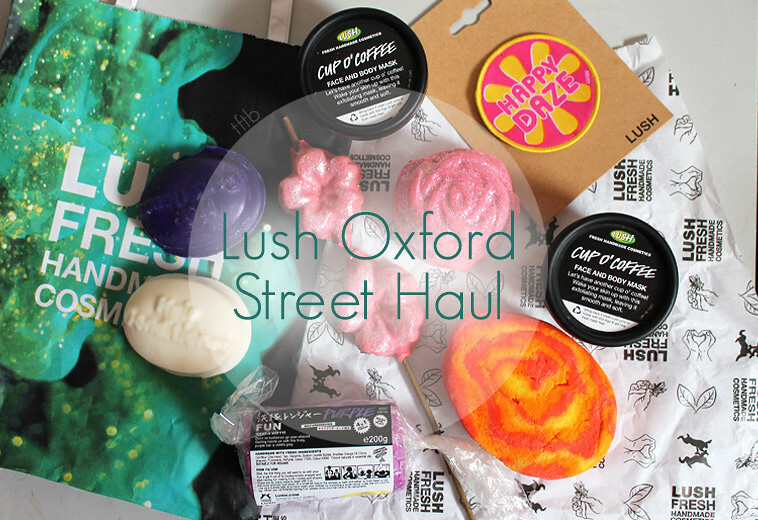 Have you been to Lush Oxford Street and bought any of the new products?! If so let us know which ones are your favourites! I know, I’m glad they bought the new one out but I’ve moved so I don’t have a bath any more :”( trying to use up all the bath bombs I have at my boyfriend’s and not buy any more. Purple Fun smells like something I want to eat! I only recently discovered Lush for me. What a shame haha 🙂 I had the Big shampoo actually and liked it a lot 😀 and only yesterday, I bought some cool products like the dragon’s egg. 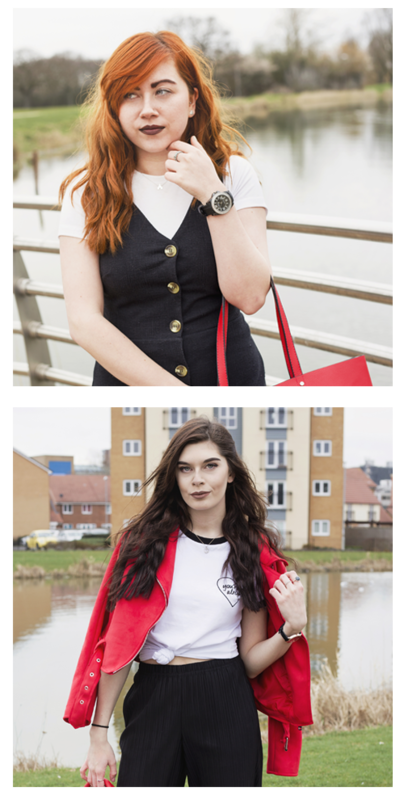 The cherry blossom and rose Rachel got look absolutely gorgeous!! Hope you get on well with the solid conditioners – would make for an interesting review!